4 Independent channels. Simulate light pulsing like real afterburner. 4 channels controlled independently. Weight: 10gram. Connection: Standard JR servo lead. Light battery voltage: 7,4V (2sLipo). 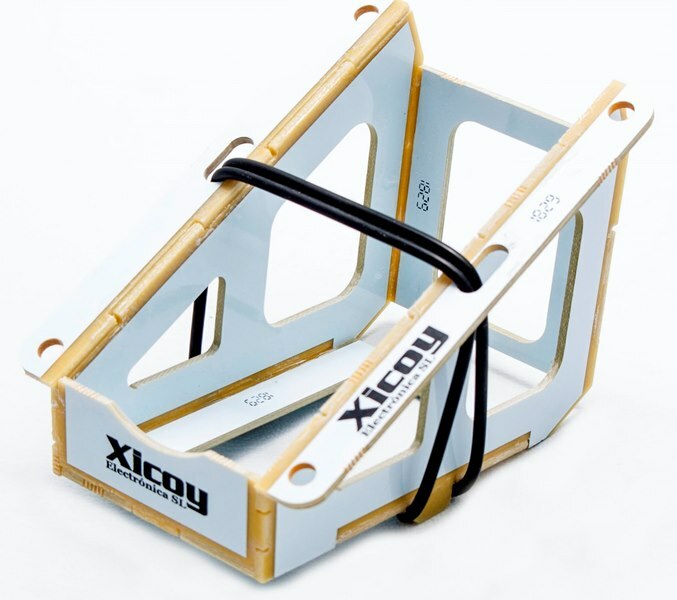 To be used with Xicoy LED rings of 7,4V. WARNING: Install the LED ring over a isolated surface. A contact on the led pins with a metalic surface or short circuit will destroy the leds and/or the controller. 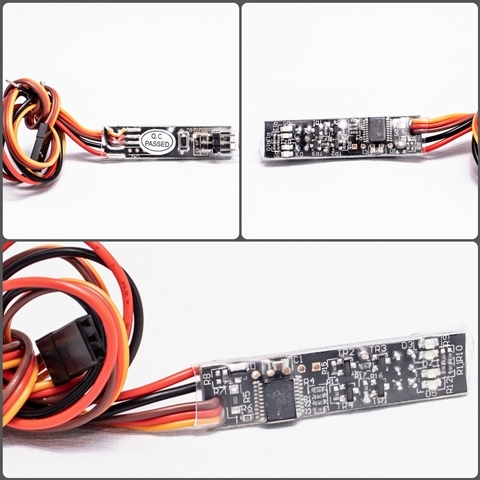 -Connect the servo lead on your thottle channel trough a “Y” servo lead. -Connect the Red (+) and black leads to the battery. Reccomended battery voltage 7,2V (2s Lipo, 5 NiCd-NiMh). A123 2s and 3s allowed. Do not use 3S Lipo. On FADEC ecu systems you can connect in parallel to the ecu battery. -Connect the afterburner rings. 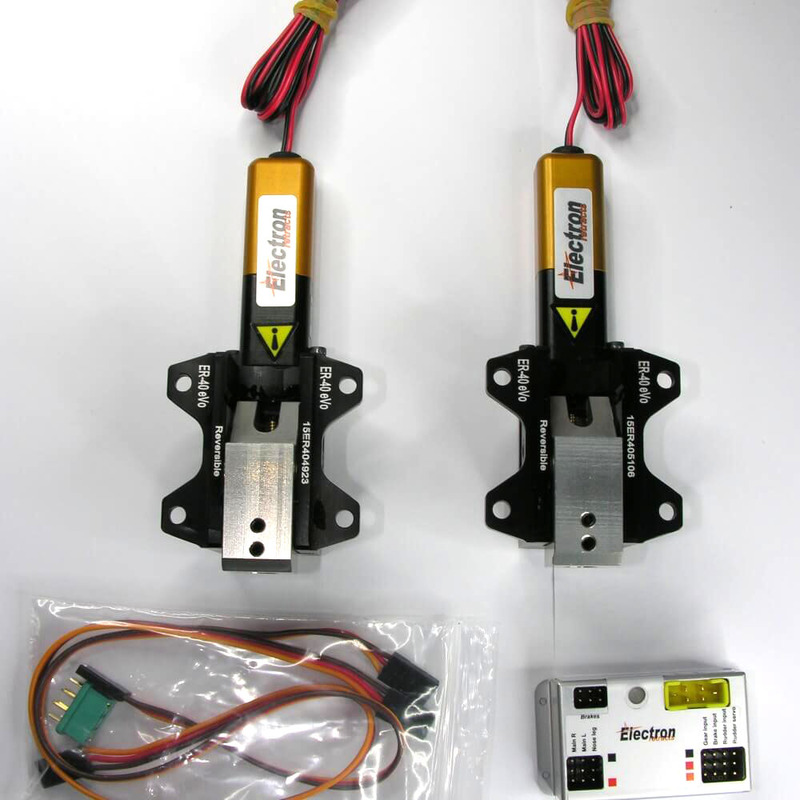 If using more than 2 rings, you will need a “Y” servo lead. One of the rings must be connected normal, but the second one inverted, orange lead from Y arness output to brown lead to the ring. -Adjust of trip point: Power ON the TX and RX. Set the throttle position in the place where you want the light to switch “on”. Press the button on the controller. The controller will store the current position as trip point, over this will switch on the lights and below switch off. In the case that the function is inverse as desired, repeat the setup.